Analytical workspace is ... TODO: describe. 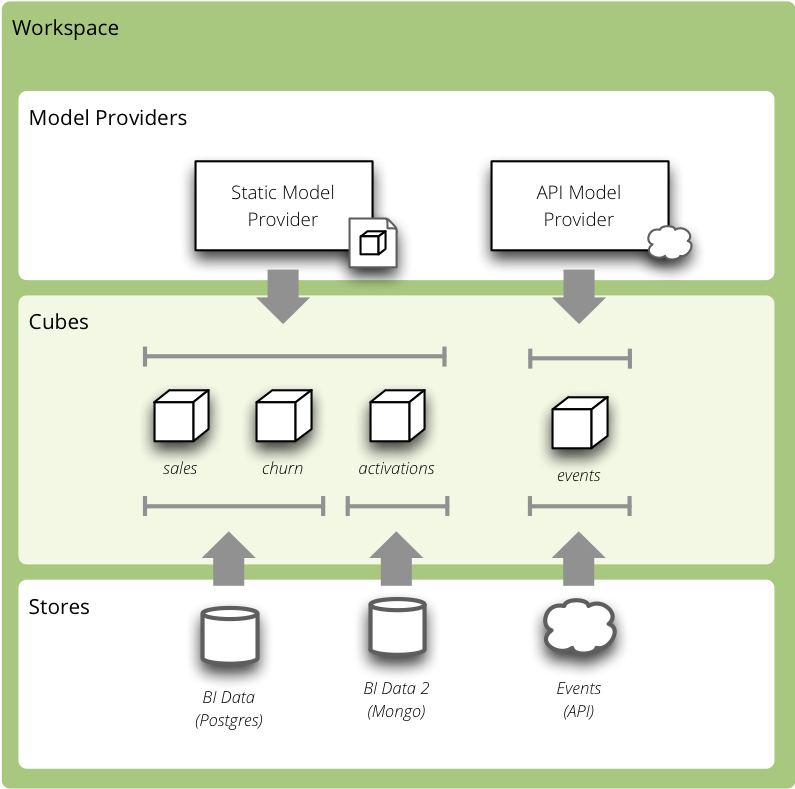 The analyital workspace manages cubes, shared (public) dimensions, data stores, model providers and model metadata. Provides aggregation browsers and maintains database connections. Cube data are stored somewhere or might be provided by a service. We call this data source a data store . A workspace might use multiple stores to get content of the cubes. See Configuration for more information how to configure the stores. Model provider creates models of cubes, dimensions and other analytical objects. The models can be created from a metadata, database or an external source, such as API. © Copyright 2010-2013, Stefan Urbanek. Created using Sphinx 1.2b3.